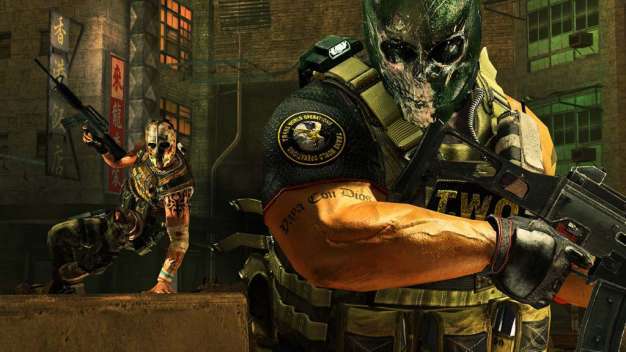 Army of Two: The 40th Day will be released on Jan. 12 with “exclusive” access to the Extraction multiplayer mode for those early birds, EA has announced today. The sequel to the bromantic action comedy game Army of Two will follow Salem and Rio as they fight and fist-bump their way out of Shanghai, perhaps answering the age old question: Can love bloom on a battlefield? Army of Two: the 40th Day is joining in on the pre-order bonus bandwagon as well. Players who pre-order the game will get early access to the aforementioned Extraction multiplayer mode, where a team of four must fight through waves of enemies to get from one point to another in ruined cityscapes. The pre-order bonus will be exclusive for a month and then will be available for everyone else afterwards.